98cts Multi Colour Tourmaline Graduated Plain Nuggets Approx 7x6 to 17x11mm, 18cm Strand. Looking for a amazing strand for your collection, Then try this good looking strand of Multi Colour Tourmaline Plain Nuggets. 30cts Multi-Colour Tourmaline Faceted Rondelles Approx 4x2mm, 18cm Strand. 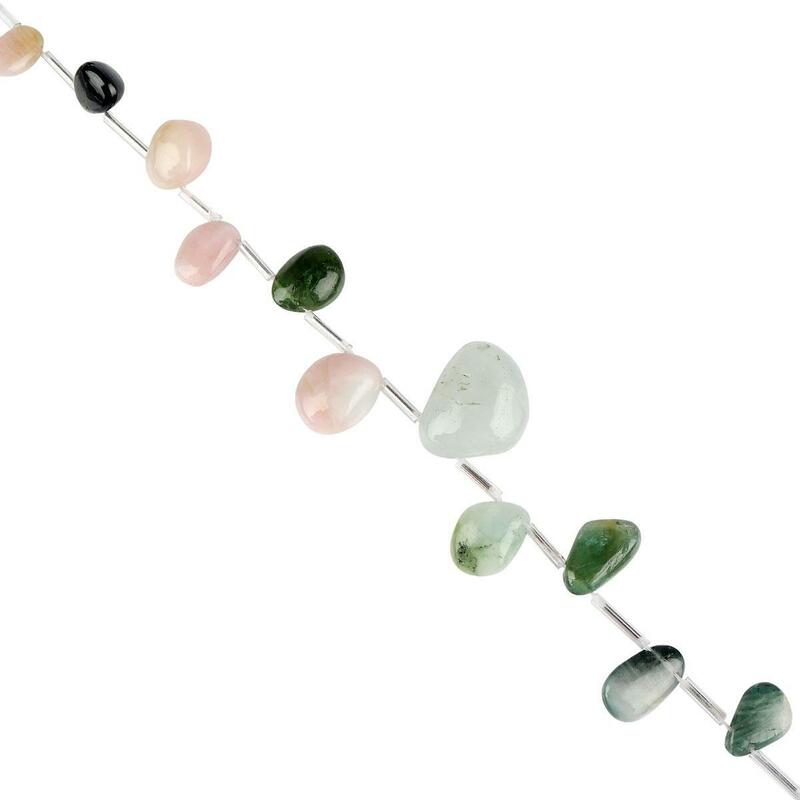 22cts Multi-Colour Tourmaline Graduated Plain Rondelles Approx 2x1 to 4x2mm, 18cm Strand. 12cts Pink Tourmaline Graduated Faceted Rondelles Approx 2x1 to 5x2mm, 10cm Strand. 46cts Multi Tourmaline Graduated Rough Slices Approx 4x2 to 9x3mm, 18cm Strand. 5cts Multi Colour Tourmaline Fancy Flat Slices Assortment. 46cts Multi Colour Tourmaline Plain Rounds Approx 5mm, 18cm Strand. 28cts Natural Pink Tourmaline Faceted Rounds Approx 4mm, 22cm Strand. 62cts Multi Colour Tourmaline Graduated Rough Slices Approx 5x2 to 13x4mm, 18cm Strand. 8cts Multi-Colour Tourmaline Micro Faceted Rounds Approx 2mm, 30cm Strand. 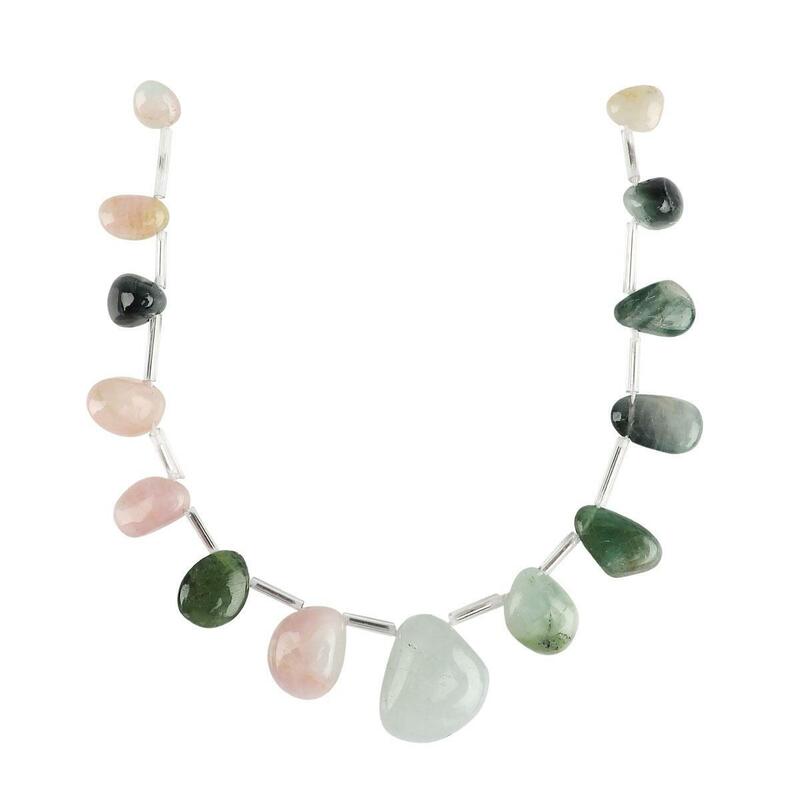 50cts Multi-Colour Tourmaline Graduated Rough Slices Approx 6x4 to 10x6mm, 14cm Strand.